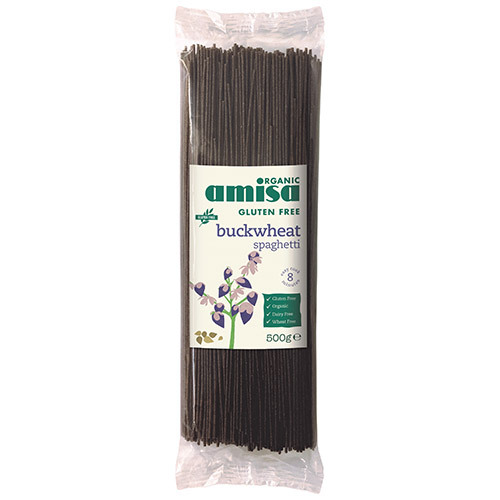 This 100% buckwheat spaghetti is a tasty and nutritious alternative to wheat pasta. High in fibre and a source of protein. Easy and quick to make - simply boil for 8 minutes and serve with your favourite pasta sauce. Easy and quick to make - simply boil for 8 minutes and serve with your favourite pasta sauce. 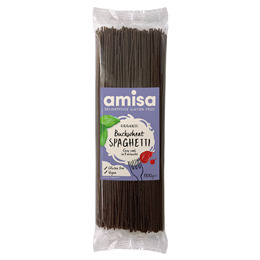 Below are reviews of Amisa Organic Buckwheat Spaghetti - 500g - Best before date is 30th June 2019 by bodykind customers. If you have tried this product we'd love to hear what you think so please leave a review.